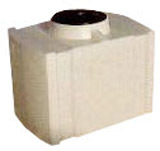 These plastic water holding tanks are manufactured from linear polyethylene with a one-piece seamless construction. The rugged, ribbed design offers superior strength for underground installation. Suitable for potable water, this cistern is manufactured with resin that complies with the FDA 21 CFR 177.150 (c) 3.1 and 3.2 Regulation. 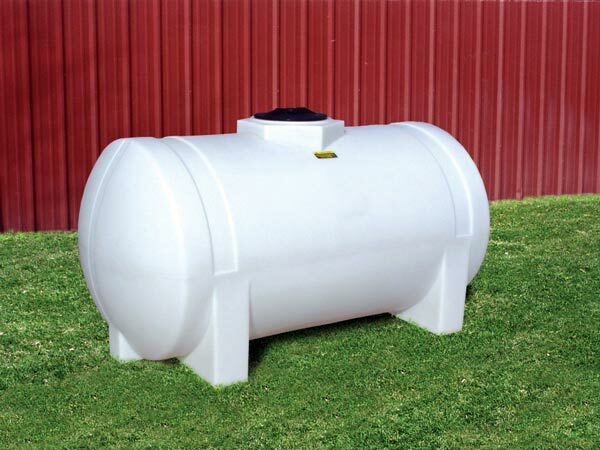 Ideal for vacation homes, resorts, campgrounds, and construction sites, this plastic water holding tank is lightweight and easy to both transport and install. The self-locking cover keeps your water safe while stored.